Are you sick and tired of showers that go cold? Does your water heater make a loud noise? Are you in the market for a high–efficiency hybrid or heat pump water heater? At ServiceMax, we offer a number of high quality water heaters for installation in your Chicago, IL home, including tank, tankless, hybrid, and heat pump models. Our highly skilled and trained technicians are also available for any water heater services that you might require, including repair, maintenance or even replacement. Whether you need a new system ASAP or your existing water heater needs a quick fix, we can help. When hiring a contractor to take care of your water heater needs, it’s imperative that you hire an expert whose qualifications and reputation speak for themselves. Since 1998, we have been dedicated to providing exceptional customer service and quality workmanship at great value. We want nothing less than the best for our clients and it shows. 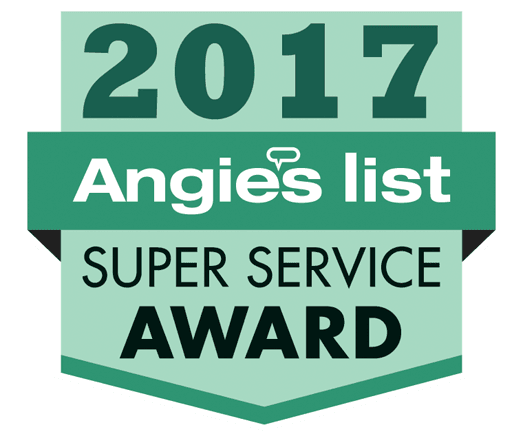 Having received both the Angie’s List Super Service Award and the Better Business Bureau Complaint Free Award, we’re ready to take care of your water heater services as need be. Call ServiceMax today to schedule water heater services in Chicago, IL and the surrounding Chicagoland area. ServiceMax offers professional installation, repair, maintenance, and replacement services for water heaters in Chicago, IL and the surrounding areas. If you’re wondering what type of water heater might be right for your home, then call on our professionals. We’ll walk you through the selection process step by step, and deliver all of the information and advice that you need to make an informed decision. If you’re looking for a budget model, then a basic tank water heater may suit you just fine. If you’re after a combination of energy efficiency and performance, then a tankless system may be a better choice. As a leading provider of water heater services in the greater , IL area, we offer a diverse range of services to our clients. When it comes to hot water, we can take care of it. From the installation of new systems from scratch to the replacement of old and obsolete equipment our trained professionals are standing by, ready to undertake your project. Below are some of the things that we can do for you. If you’re in the market for a new water heater, let us help. Our experts have the experience and expertise necessary to ensure that your next water heater purchase is a success. We’ll make sure that you select a water heater that is appropriately sized. Call us and ask about our water heater installation service. Over time, the interaction of metal and water always leads to wear and tear. If you find that your water heater no longer functions as it should, whether it suffers from poor performance or efficiency or makes an unbearable noise, just let us know. We offer a number of different water heater replacement options. Our technicians are always available to repair your water heater if it is no longer effective or efficient. It’s important that your system be fixed by trained professional so that you can be confident in the results. No problem is too large or small for our team of water heater repair experts. Water heater maintenance is by far the best way to keep your equipment running at peak efficiency and performance levels. If you’ve never had your system cleaned, adjusted and inspected, then you’re in for a treat. Maintenance prevents repairs, restores efficiency and boosts performance. Whether you need installation, repair or maintenance, the technicians at ServiceMax can handle all of your needs. From tankless models to hybrid options, we work with all different system types to ensure that you have the best solution for your Chicagoland home. Tank Water Heaters: The tank water heater is what most think of when they think of hot water heaters. We provide comprehensive tank water heater services throughout Chicago, IL, including the installation of new units, as well as replacement, repair and maintenance. Tankless Water Heaters: If you’re in need of an energy–efficient alternative to tank water heaters, then you may want to consider a tankless water heater. These devices only heat water when you need it, rather than storing a dozens of gallons in a tank. The resulting efficiency is an advantage for most homeowners. Hybrid Water Heaters: You may also want to consider the very latest in water heater technology, which includes hybrid water heaters. These devices combine the best of both tank and tankless systems to ensure that efficiency never comes by way of a sacrifice to your comfort. Heat Pump Water Heaters: Another technologically innovative option is the heat pump water heater. These devices are highly powerful and efficient devices that draw on the technology of one of the most popular HVAC systems. We install and service them. Call ServiceMax today to learn more about our water heater services in Chicago, IL.